Carla Cabrera Quimpo, Mrs. Globe Philippines 2011. From hundreds of applicants all over the country, seventeen single mothers and married women have been chosen to compete for this year’s Mrs. Philippines Globe 2016 title, a national competition for married women and single mothers. “Mrs. 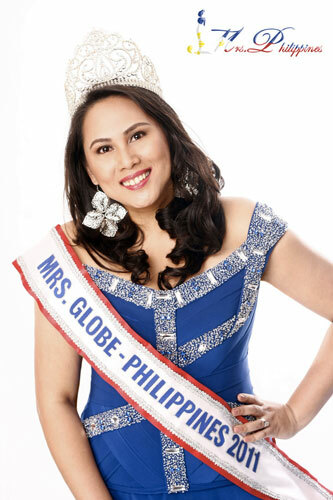 Philippines Globe promotes women as symbols of inspiration through their achievements, charitable acts, and life stories” said national pageant director Carla Cabrera-Quimpo. The 17 finalists will compete on October 23, 2016 at the Samsung Hall, SM Aura, Taguig City. The winner of Mrs. Philippines Globe will receive P150, 000 worth of prizes. She will also represent the Philippines in the prestigious Mrs. Globe 2016 World Finals in Hainan, China in December 2016.
and a new addition to the roster of special awards — the Mrs. Philippines Globe Classic 2018. ← Why should you book your trips with Travelbook.ph?